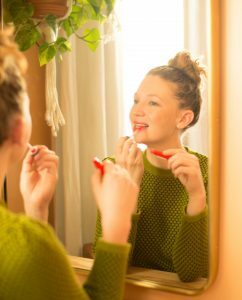 Safe makeup gifts help you spread your enthusiasm for nontoxic, healthy cosmetics. Whether it’s an easy stocking stuffer for my mom or a birthday present for the Sephora lover in my life, makeup is my go-to gift. But once I got on board with nontoxic, safe products, I started to see things differently. Those nail polishes or lipsticks I gave loved ones now felt like “poison gifts.” And the excitement of receiving expensive perfume for Christmas wore off, since I knew beauty companies often hide potentially dangerous ingredients under the catch-all “Fragrance” on their ingredient lists. If you’re like me, once you join the safe-makeup bandwagon, you want to share the love with your friends and family. Start with these products that work for just about anyone. 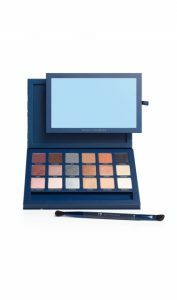 Start your friends and family off strong with this eyeshadow palette (EWG Verified that will help them create various day-to-night looks. This eyeshadow (1 rating from EWG) can double as an all around highlighter. I love that this lipstick (2 on EWG) conditions, which helps the color go on evenly and maintain its quality as it fades throughout the day. With passion fruit and raspberry, this peel (EWG Verified) will help your friends pamper themselves during an at-home spa day. Throw this color stick (1 on EWG) in your bag and you can add a little life to your cheeks wherever you are.